We had a fantastic turnout for this year’s event and successfully lifted the bar for future golf tournaments in the Shoalhaven. This could easily be the benchmark for the South Coast’s best corporate charity golf days in the calendar. The day was a great demonstration how the Shoalhaven business community came together to support our three chosen charities and no doubt 2016 will be even better. 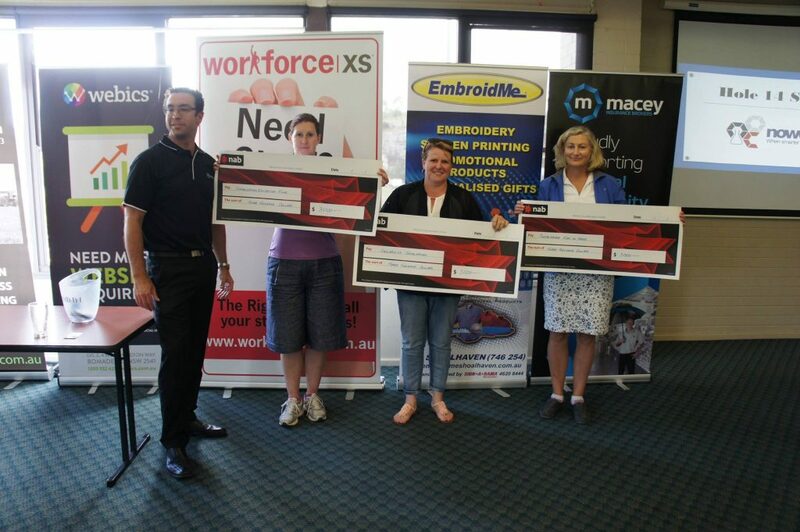 The day raised an incredible $9000 that was evenly distributed to Shoalhaven Education Fund, Shoalhaven Kids in Need and Shoalhaven Sailability. Not only the full capacity of 36 teams ensured a full course after the shotgun start, it meant we were able to make the most of additional fund raising during the day. With perfect conditions, a terrific BBQ breakfast and tee-off ensured everyone was off to a cracking start. It wasn’t long before Paul Maiolo was out helping players out on some tricky holes and trading his unique left-hand swing for some hard earned cash for the charity coffers. ‘Call Paul’ helped a few players out with some difficult shots and he drove back to the clubhouse with $300 in charity collection. We managed to get all 36 teams round the course in a little under five hours, including participation in the longest drive, nearest the pin, drive from the tyre and the hole in one. Despite some good attempts at the hole in one, sadly Country Motors returned the Hyundai Sonata back to the showroom unclaimed. SG Technologies however parted company with the next biggest prize, the Apple iWatch on the 3rd. 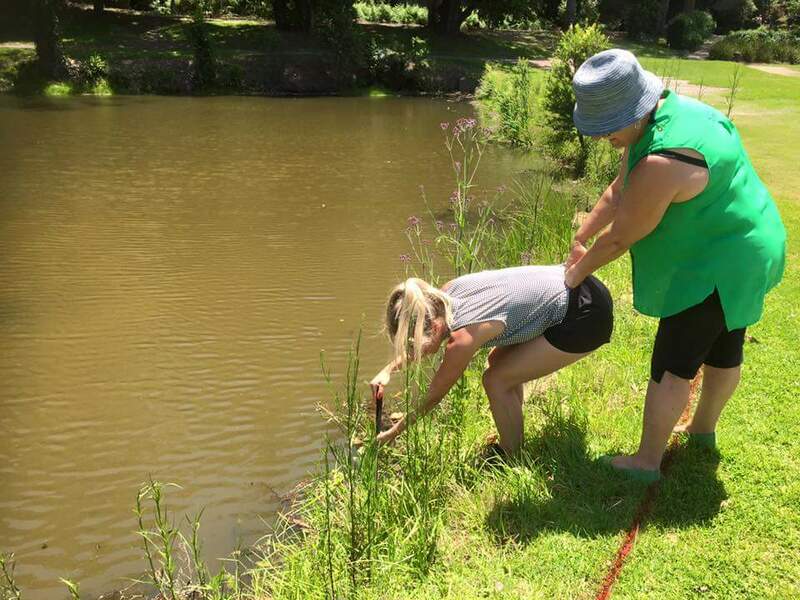 With the stunning weather, the Webics drinks caddy was very popular from the start of the day and thanks to the precision driving by the SBC events committee members Jeni Vine and Nicole Malos, everyone was suitably hydrated. Thanks also to Wharf Road who kept a smile on people’s faces by sampling No. 1O on the 1st Tee. Back at the clubhouse for the tallying of scores and funds raised, Robbie Maddison and Justin ‘Bushy’ Bush entertained us and provided insights into the challenges and accomplishments of one the Shoalhaven’s greatest home grown extreme talents. 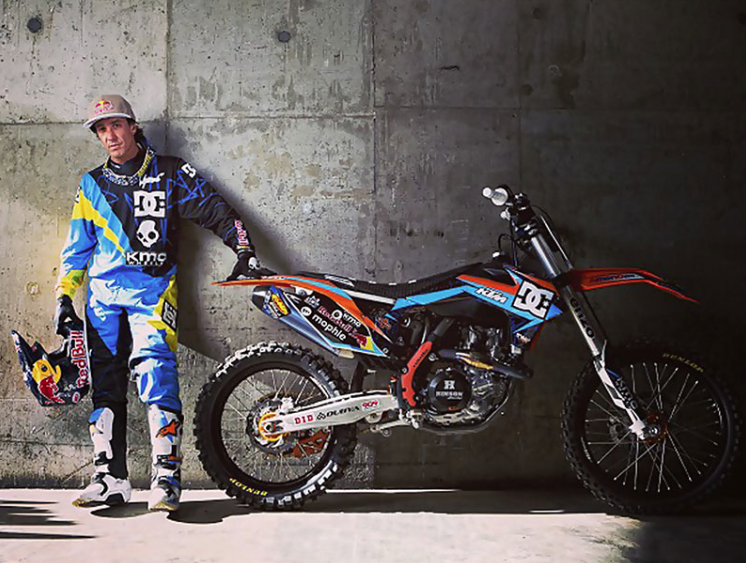 Robbie Maddison was certainly inspirational in demonstrating how dreams are possible with vision, determination and support from a great team around you no matter what’s thrown at you. 3rd Prize: Craig McAinsh – a Silos Estate wine tasting experience for 10. Finally, the Tuscany Wood Fired Pizza voucher was awarded to Mat Sigmund in the Facebook photo competition. The SBC Macey golf day was a terrific day and everyone’s contribution both on and off the course is greatly appreciated. Thank you for all the support in making this the best year yet. We look forward to next year and even more involvement from the Shoalhaven business community.